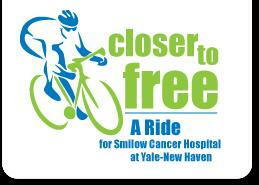 Affiliated Foot and Ankle Surgeons are happy to announce that they are once again sponsoring the Closer To Free ride organized by Smilow Cancer Hospital at Yale-New Haven. The dollars raised for the Closer to Free Ride will directly support patient care and research at Smilow Cancer Hospital and Yale Cancer Center. Smilow is Southern New England’s premier cancer hospital and the Ride is our signature fundraising event. We’re so thankful for the dedication and generosity of our family of sponsors, some of whom have been with us since the first Ride in 2011. This is more than just a listing of logos – this is a community of corporations and organizations who truly support their community and our mission of bringing the world closer to free of cancer.